These ID Badge Clips are great for attaching your ID and info without the need of lanyards. There are three variations and we can manufacture with other fittings such as trigger clips or keyrings depending on your need! These card holders are available as standard, optional extras on all our card holders and they’re our most popular and practical product. These id clips are only available in a clear color, and they’re manufactured from frosted PVC. They are used in a variety of different roles, and worn on a massive range of uniforms and staff situations. We have found that clear is the best color to provide a broad solution to all companies that need an ID carrying solution that isn’t too flashy. • Reducing or even eliminating the loss of cards, and reducing the risk of employees forgetting their regulation ID cards. • Helping an employee keep his card safe on his person. • Preserving ID cards for a long period of time. What type of companies normally use these clips? 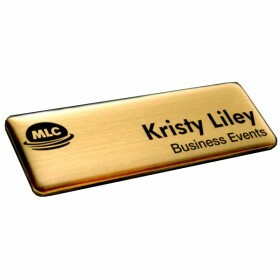 These clips are ideal for a wide range of different companies, businesses, and events. They can be used at any company or event that a lanyard can be used. They are used by high-end corporate companies, small businesses, schools, hospitals, concerts, charity events, and more. They are great for employees that work in high risk situations because they will never have to worry about a lanyard getting caught in machinery (etc. ), and they’ll still be able to carry their regulation security ID’’s on them at all times. How to choose the right ID badge clips? The easiest thing that you can do is choose a premier manufacturer of badge clips and have the option of choosing from a wide range of options. 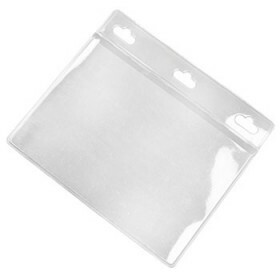 After all, ID badges can be carried in clear plastic sleeves or almost any other kind of badge holder. It is extremely important to choose sturdy badge clips that will help an employee suspend his or her ID card from a shirt pocket, a belt, or even a handbag. You should take a good look at all the images that are available to you, so you choose the ID badge clips that are a good fit for your business. 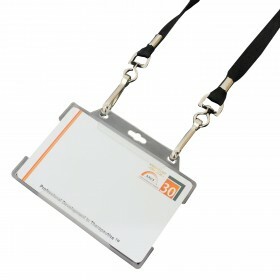 The big advantage of choosing this product is the fact that you can eliminate the use of lanyards to carry ID cards. Even though lanyards are convenient, they can become a bit cumbersome because an employee must suspend the ID card around his neck. With an ID badge clip however, he enjoys extra options of carrying his identification badge or card. Lanyards and neck cords are the usual badge and id carrying solutions. However, when you need something compact, lightweight, and simple to use Id badge clips are the way to go. They just clip onto belts, pockets, and handbags. If you still think your company may want lanyards, you can even hook the badge clips onto a lanyard. They can be detached quickly, and hung from other objects for versatility. So if your employees decide they don’t want theirs on a lanyard, they can simply take it off and clip it to their pocket (etc.). Make no mistake, this is a fantastic little trinket. 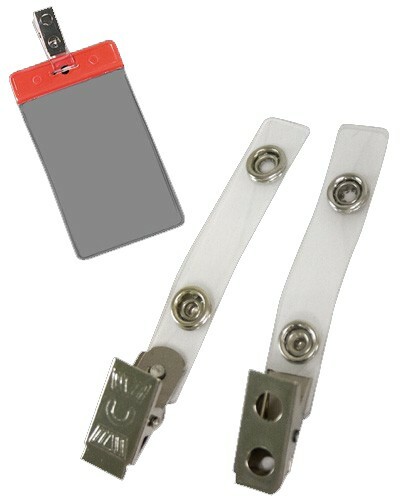 Being such a small and simple mechanism, these id badge clips are extremely cost effective. They come in a pack of 50 to 100 and can cost as little as 30 cents each. When ID cards and security staff badges can't afford to be dropped, misplaced, or lost a cost-effective product can go a long way. 30 cents is a very small price to pay for something that helps secure a person’s credentials in the workplace. We also offer competitive pricing with all our products. Our price beat guarantee ensures our customers that they’re always getting the lowest prices around. 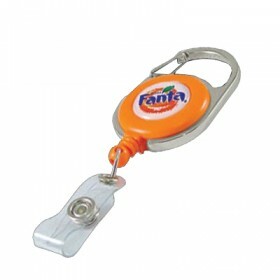 If you find these ID badge clips at a lower price somewhere else, we will lower our prices to beat our competitors. Although our prices are the best around, you will never have to worry about getting low quality products. We make sure all of our products are made with high grade, quality materials.